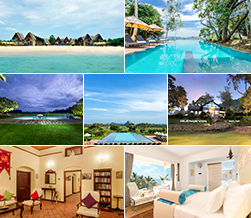 Each one of our resorts in Sri Lanka has a distinct identity and theme that flows throughout its buildings, design and furnishings. Strongly influenced by the cultural traditions and symbolism unique to each area, we have strived to maintain the authenticity of how cultural art forms have been depicted. Colours and hues are used to portray the emotions and artistic wealth of each area. Natural fabrics and local crafts are used to embellish the strong flavours and exclusive identity of the region. Each structure has symmetry that has been aligned to expose breathtaking views and environments that are matchless in their pure beauty. Consisting of chalets and suites with stunning views of the ocean, this quaint fisher-village theme resort is all about the sun, sand and the sea. 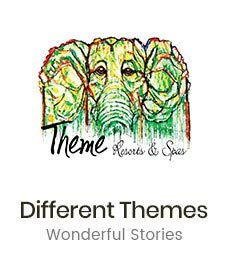 Themed on the beloved elephant or ‘aliya’ in the Sinhala language, our 96 roomed resort takes you back to village lifestyle and rural beginnings. The ultimate ayurvedic wellness retreat ‘Ayurvie Weligama’ will open its doors in the beginning of 2018. Wild Glamping provides out-of-the-ordinary accommodation and experiences in the Knuckles Mountain Range of Sri Lanka.